The Bays of Huatulco, a jewel in the crown of the Mexican Pacific Coast, is the ideal destination for visitors looking for that special place that combines authentic Oaxacan hospitality, the colors and sounds of regional art and folklore, a unique and protected nature, endless sunny beaches, a great variety of activities and experiences, as well as the comfort of excellent hotel facilities and services, all complemented by the warmth and friendliness of the local people. Being part of the State of Oaxaca, its millenary history and culture is reflected in Huatulco's craftsmanship, folklore, joyful festivities and celebrations, and above all in the succulent Oaxacan and coastal gastronomy. 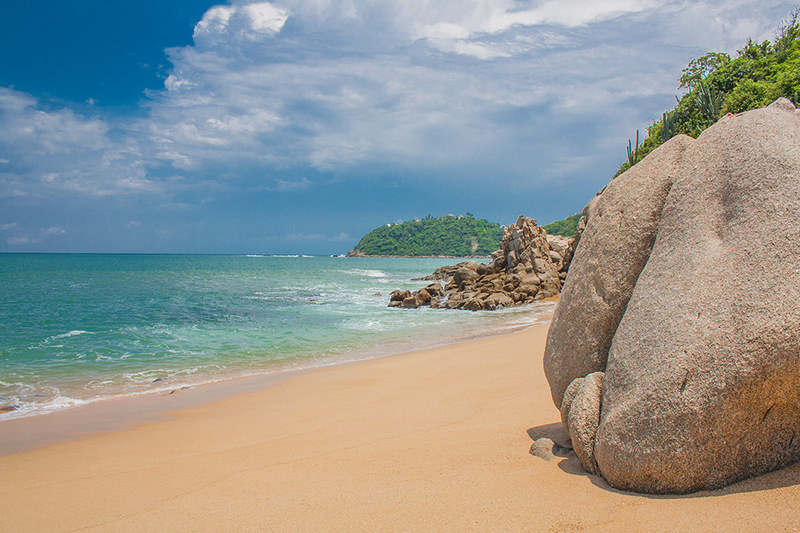 In Huatulco, environmental protection and sustainable development is everyone's mission. Thanks to this joint effort, Huatulco is the first tourist destination in the American Continent that has obtained the Earth Check International Certification to Sustainable Tourism Community every year since 2005. Rediscovered in the 1970s by the federal government and later chosen to be the heart of an integrally planned tourism development, which would bring economic development, jobs, schools, health services and others, so necessary in this corner of the State of Oaxaca. Huatulco took its first steps as a new tourist destination in the late 1980s.